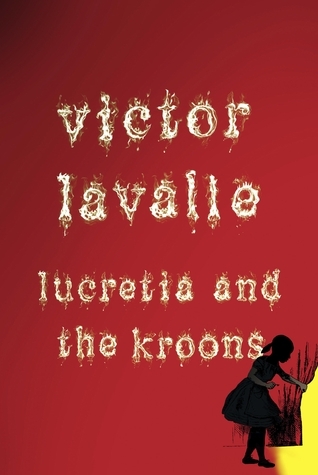 Lucretia and the Kroons is a dazzlingly imaginative adventure story and a moving exploration of the power of friendship and the terror of loss. This all-new novella serves as the perfect companion piece to The Devil in Silver, a thrillingly suspenseful work of literary horror that continues the story of Lucretia. When I saw that the genre is Horror,my first instinct was to avoid reading it.Even as a child I used to avoid reading Goosebumps (thought the reason can be attributed more to a rather insensitive beast who took great pleasures in terrifying his little sister..! ).Anyway,I am going off the topic..Hey! No, I am NOT ! By now most of you think I am crazy..! Well, I am not! You see,this book fantastically reminded me of such incidents:Older brother narrating terrifying stories about monsters to his kid sister. So back to the book,I gathered courage and read it. *surprise**surprise* its not a nightmare giver at all..! Its a story about a 12 year old girl Lucretia, who's best friend and upstairs neighbour Sunny is suffering from a terminal illness.When Sunny goes missing,the only way to get her back is for Lucretia to climb the rickety fire escape of their Queens tenement and crawl through the window of apartment 6D,where nightmarish family of mutants called 'Kroons' reside.The apartment itself appears to be a doorway to a parallel dimension which is inhabited by missing kids and ruled partly by Kroons and partly by a 'cloud of rats'. Her adventure ultimately forces her to confront the most frightening spectre of all: losing her best friend.The end of the book hints at it all being an imagination of young Lucretia,her way of coming to terms with the loss of her best friend. Its a short, nice and an engaging read. The pace of the story was good and the length just right.There was no dragging and the story kept me hooked. I found the book surprisingly insightful of the way a 12 year old thinks and how girls that age are conscious about themselves. The horror in the book is nothing intense, making it a very suitable read for children. I am following you now..! I am glad you decided to join me here..! Great review--I haven't heard of this book but it sounds pretty interesting! Thanks for the greetings and love your blog. I am following you on your blog. I have also had a number of books recently published. I am happy to send you a free gift from Amazon if you would like. and I'll happily send you a free copy back. Great to read your book blog. I have also done a number of book giveaways. If you are interested to do a book review or summary on your blog I could give away five free copies of my book Archangels and Demons (Kindle) to the first five readers who say they have read about it on your blog. Let me know. Thanks for dropping by. I have already started reading your book.